There are certain products that are quintessentially American. Beginning on September 11th, I will be visiting each of these iconic American manufacturing firms in preparation for including them in my upcoming book, Simply American, Putting Our Extended American Family Back To Work. I will be visiting Hart Schaffner Marx on Tuesday the 11th in Des Plaines, Illinois. I will tour the factory and have an opportunity to speak with several members of our extended American family who sew the wonderful suits made in Des Plaines. On September 12th, I will be driving to Port Washington, Wisconsin to tour the Allen Edmonds factory. 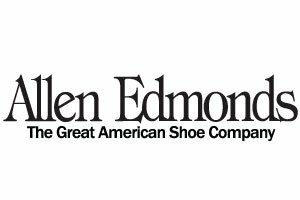 Again I will be interviewing two of the craftspeople at Allen Edmonds to learn about what they do, what making quality American products means to them and how their job at Allen Edmonds has helped them support their family and their community. On Thursday September 13th I will drive to Madison, Wisconsin to tour the Subzero factory and interview Jim Bakke, the President and CEO of Subzero. Finally, on Friday September 14th I will visit the Wigwam Mill factory in Sheboygan, Wisconsin and speak with its CEO Mr. Gerald Vogel. It is really an honor for me to be able to visit these four iconic American firms and feature them in my book. During this political season, there will be a lot of discussion about the need to create jobs for the members of our extended American family who are out of work. I completely agree with this sentiment. And the great news is that you and I can create jobs for members of our extended American family just by purchasing products made by the firms already in business in this amazing country. On my trip, I will be wearing Wigwam socks and Allen Edmonds shoes. When in Des Plaines I will be purchasing a new blue suit. And when I do my next kitchen remodel, I plan to install a Subzero refrigerator and a Wolf range. If we all made American made products our default choice when shopping, the increased demand for these products would create jobs for members of our extended American family as American manufacturing firms ramped up production to meet the heightened demand. Not too difficult to understand, even for a guy like me. So on your next shopping trip, say to yourself “I am going to make sure that at least half the products I buy today are made by members of my extended American family!” I dare you. I double dog dare you. If you need help on finding American made goods, look at the blog roll on the side of my blog. Or better yet, visit americansworking.com, the best Made in America site I know. This entry was posted in american made, Apparel, Appliances, Luggage, Made in America, made in usa, Men's Wear, shoes, socks, Website and tagged Allen Edmonds, Des Plaines Illinois, Hartmarx, Made in America, made in america products, Made in the USA, Made in the USA products, Port Washington Wisconsin, refrigerat, Sheboygan Wisconsin, shoes, socks, suits, Wigwam Mill. Bookmark the permalink. I look forward to hearing what these 4 American icons have to say. Thank you for doing this, I look forward to your book.